Following a clever tease earlier in the week, Nike has unveiled its latest self-lacing shoe, the Adapt BB. The Adapt BB sets itself apart from its predecessor, the HyperAdapt 1.0, by making wireless the core of the shoes. 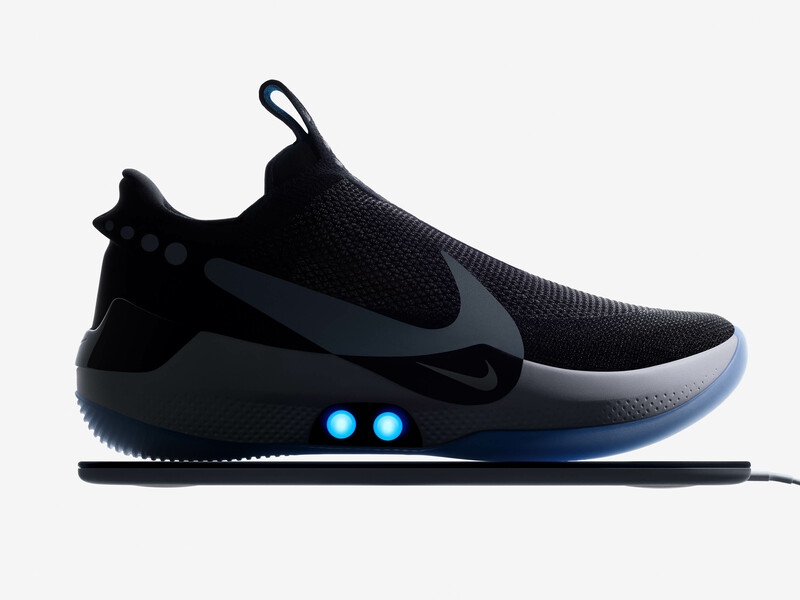 Users can charge the 505mAh battery using its shoe-sized Qi charging mat, and they can lace up with Nike’s connected smartphone app. According to Nike, when you step into the Adapt BB, a custom motor and gear train sense the tension needed by your foot and adjusts accordingly to keep it snug. The company says that the underfoot lacing has a tensile strength able to pull 32 pounds of force, which is roughly the same as a standard parachute cord. However, the mechanics need the brain — what Nike calls its ‘FitAdapt’ technology — to work effectively. 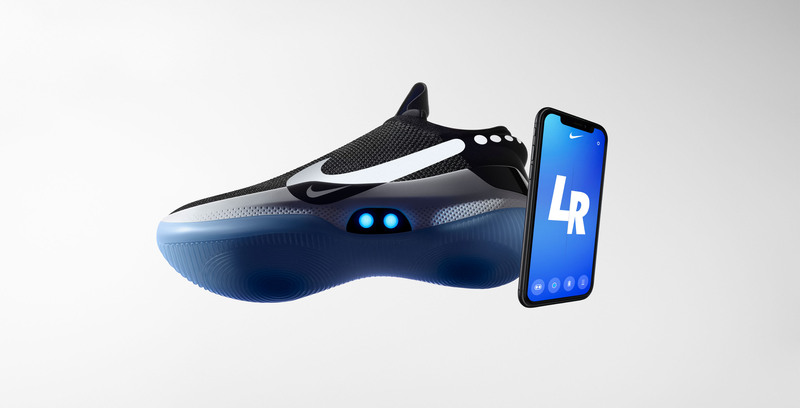 Users can input different fit settings by touching the shoe or through the Nike Adapt app on their smartphone. For example, you could loosen the Adapt BBs during a timeout and tighten them up again when you head back into the game. Nike also says users can opt into firmware updates for the FitAdapt technology that will enhance the precision of the fit and provide new digital services over time. At this point, if you’re asking yourself why we need smart, always connected shoes, you’re not alone. According to Nike, an athlete’s foot can expand throughout a game. In basketball specifically, the foot can grow almost half a size. Because of this, shoes that fit perfectly at one point might feel constrictive minutes later. That’s where Adapt BB comes in: the adjustable shoe makes sure you’ve always got the perfect fit and allows you to adjust on the fly. It makes for a good argument, but the real test for the Adapt BB shoes will be professional athletes. If the shoes make it with them, this could be the next step in the evolution of shoes. The Adapt BBs will ship starting February 16th. You can preorder them now from Nike’s U.S. store for $350 (about $465 CAD). Currently, the shoes aren’t on Nike’s Canadian store.